I'm excited to see my returning students and to meet new students that will be attending my class. If your child does attend Resource as part of his Individual Education Plan, please know that we must meet once a year for an annual ARD meeting. A review meeting can be requested at any time to make changes to the plan, if necessary. Also, I do send home progress reports for your child's IEP every six weeks. Please sign and return receipt. If you have any questions, please contact us at 956-340-1450. I am also available on Class Dojo. Students now have access to Lexia Learning and can practice at home too. This program is designed to help with reading difficulties. My students have already taken a diagnostic test and the program is set to their level. Please send me an email or class dojo message for your child's login information. I.Improve Academic Readiness: Each campus must meet their respective goals of 85% or higher in all tested subjects. ELL and Special Ed students must show significant gains in their test scores of a minimum of 10% points. AP scores in all subject areas must improve with a minimum of 70% of the students passing the exam. III.Improve District Attendance to 98%. 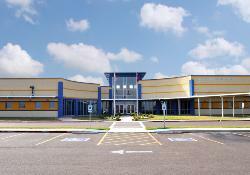 IV.District will provide a positive and safe environment for all students and staff. V.District will improve Parental Involvement. VI.District will improve Scholarship donations for our graduating Seniors. VII.District will create a comprehensive and effective Fine Arts/Athletic/PE Plan to be successful in all Academic/Athletic competition. VIII.District will retain and recruit highly qualified personnel. IX.District will ensure financial stability for the success of our students. District will maintain a balanced budget.